This celestial region has a strange, other-worldly feel to it. 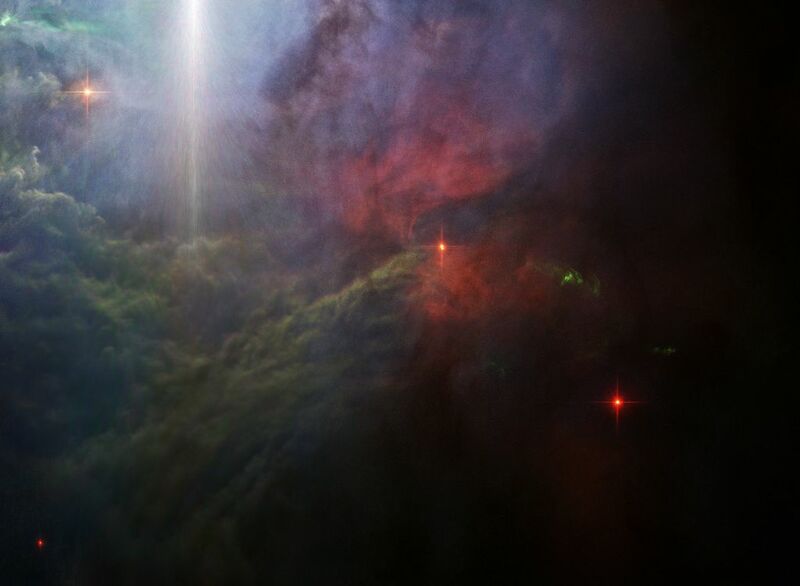 Instead of a typical nebula, it almost looks like a painting that shows rays of light pouring into a cave on Earth. By classification, NGC 2023 is a reflection nebula powered by a massive, extremely powerful young B-type star, called HD 37903 (which is just out of site in this particular image). In addition to being the most luminous member of a grouping of stars residing within the Lynds 1630 molecular cloud, NGC 2023 is also extremely hot, several times hotter than the Sun even. While the image was taken by Hubble, it has been reprocessed by the talented Judy Schmidt (Geckzilla). If Physical Diseases Were Treated Like Mental Illness…. Is Dark Energy Evaporating Dark Matter?